This list includes: How to register. How to check if registration was successful. How to register for overseas voters. What to bring during an election. The actual voting process (both via mail and going in physically). Malaysian youths between 21–30 years old make up the largest possible voting population as of 2017. Yet, 2.5 million of us weren’t registered yet as of last year. 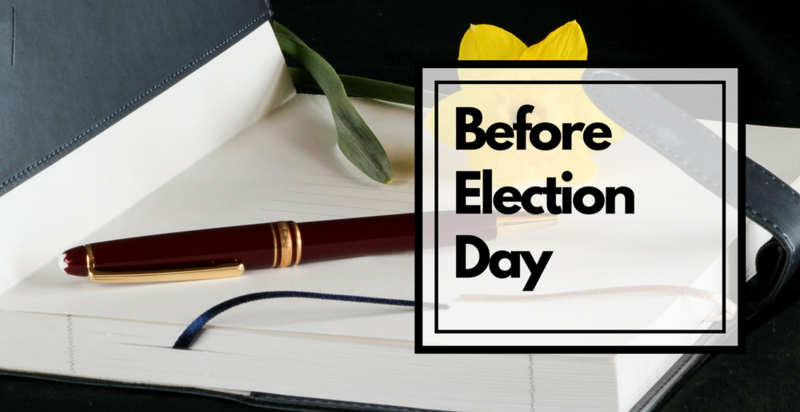 If you’re a first-time voter who has no idea how to go about voting, fret not! 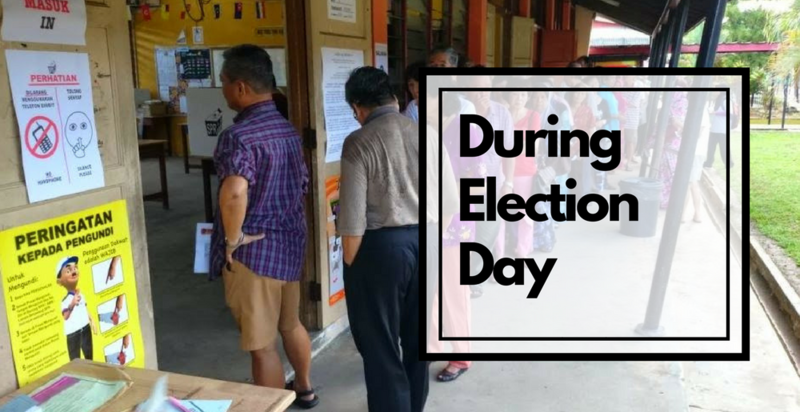 We’ve come up with a convenient masterlist of all the things you’ll need to know about the voting process in Malaysia, from registration all the way to voting day. Basic requirements before you can vote. To register, you’ll have to head to SPR-approved counters during office hours along with your IC. Head to any registration counter with your IC. Hand over your IC to the staff who will fill up your registration form—Borang A. Check and confirm the details on your form—make sure everything is as per your IC before signing. Keep a copy of your registration form as proof. Changing information for those already registered. Making sure that any changes are updated before elections can be tricky, because SPR only updates its database 4 times a year. The best advice is to get it done as soon as possible. Change the address in your IC with JPN, then bring the receipt of that change to any SPR counter to request an address change. Head to any State Election Office across the nation, bringing your IC and further documents for proof. It’s important to remember that SPR won’t update its system unless your information matches your IC. Once you make your change at the State Election Office, give it two weeks or so. Then, check the SPR website in case you need to make any claims or objections. Submit these objections before SPR updates its database (March, June, September, December)—otherwise, any wrong information will bring you to the State Election Office counter again. How to check your registration information. You can head over to this website and key in your IC details, without spaces or dashes. It’s important to check this website as soon as possible, in case there are any issues about your voting location, mistakes in your name, or other errors that might stop you from voting on the day. Register to vote from overseas. 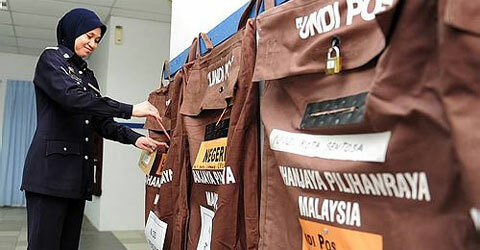 Those who want to vote from overseas needs to have spent at least 30 days in Malaysia (not necessarily consecutively) in the past five years to qualify for postal votes. There are two types of voters here: Pengundi Tidak Hadir (PTH) and a regular voter. Once someone registers as a PTH, they’re automatically considered a postal voter. You have until the day that parliament is dissolved to register. Others need to fill up this form. How registrations are done varies depending on the location. Some only open up windows for registrations during very specific times, so pay attention to any announcements. You’ll need: your passport and borang A serial number (from when you register as a voter). Students need to bring a document of proof showing institution, course, and duration of study. Find the Malaysian Embassy or the Malaysian High Commission. Hand over your passport to the SPR staff who will help fill up your form. 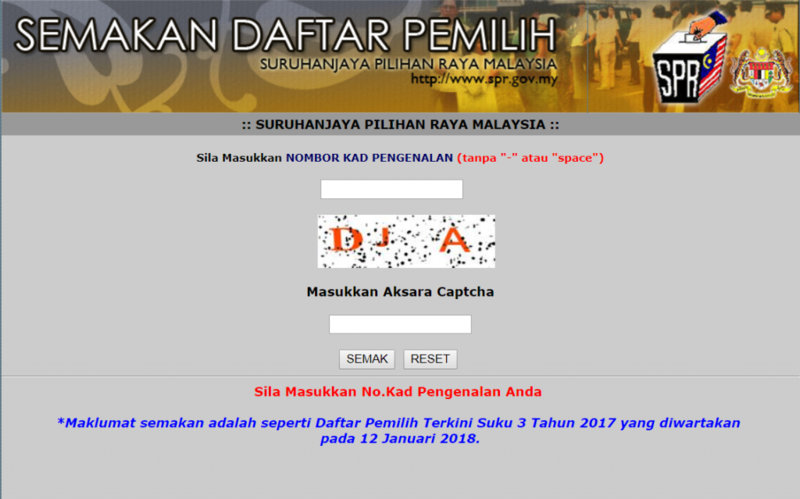 State your overseas address, occupation and the serial number of borang A. Check the form for errors before signing. Get a copy of the form as proof in case you need to make any claims. Locals who are unable to make it on voting day. For those living in Malaysia who are unable to make it to voting day, you have the option to register to vote with post. Print out and fill up this form. Get validation from your employer. Send the form over to Pejabat Pegawai Pengurus. The address can be obtained off the SPR website. Sometimes, employers help to handle the sending part. What you need to bring on voting day. 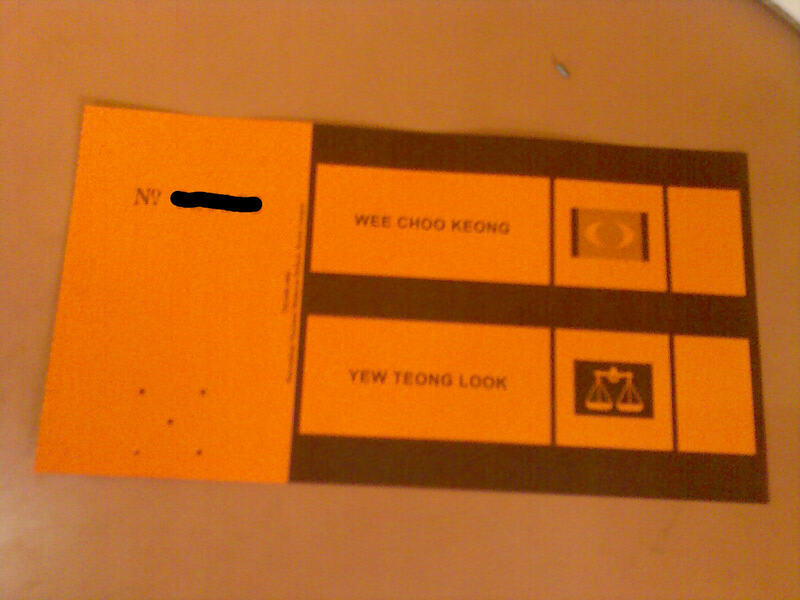 Make sure to have your MyKad or other identifying documents (if there was an issue with your MyKad). 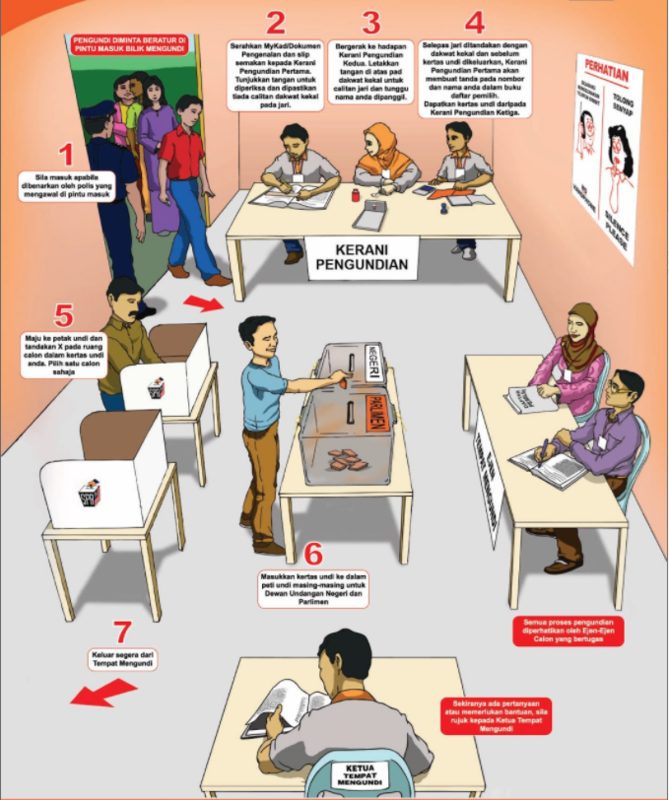 Hand over your MyKad to the first election staffer, and show them your hand so that they can check for the indelible ink. Move to the second election staffer who will give you indelible ink to put on your finger. Then get your ballot from the third election staffer. Now, it’s your time to step towards the voting box and mark X next to your preferred candidate. You’ll be getting two ballot papers. One is to elect a member of the parliament, and one to elect a member of Dewan Undangan Negara (DUN). Members of the Parliament will represent your area in the Dewan Rakyat and Dewan Negara. Ahli DUNs are responsible for running things on a state level, controlled by our Sultans and Yang Di-Pertua Negeri. You can’t wear clothes with any political logos or symbols on it. Don’t bring any ballot papers out of the venue, and don’t bring any ballot papers in. Try not to loiter around the voting area, and only wait for someone at least 50 meters away. A company that fails to provide sufficient time for employees to vote could be subject to prison time and a fine. You can read up more about the above facts here. The voting process (mail votes). 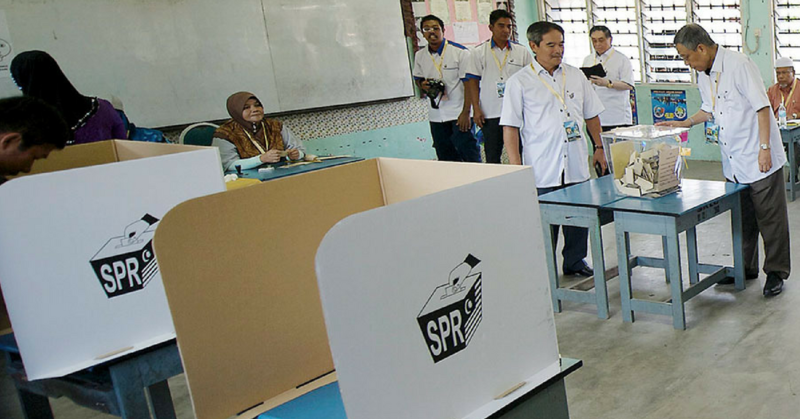 Ballots will be sent to the Malaysian Missions before the election date, and the Malaysian Missions will disseminate it to voters based on their registered residence. You can make your votes either in your homes, or at the Malaysian Missions. Then, you can choose to either Express Post it using the envelope given by SPR (at your own expense) or return the paper to the Malaysian Missions who will forward them to SPR. Please note that all ballot papers must be returned to SPR before 5pm on the voting day.